Whether you call the Tri-Valley your home or you’re just visiting, you’re likely to catch a glimpse of Mt. Diablo State Park, a 20,000-acre public space preserving not only the striking Diablo Mountain Range but also its sprawling foothills, waterfalls, and wildlife. Despite the mountain’s relatively low elevation, the rocky 3,849ft peak boasts some of the best visibility in the Western United States. On clear days, visitors are able to spot San Francisco to the west, Yosemite to the east, and even Lassen Peak 181 miles north of the State Park. Besides its impressive views, there’s more to this enchanting beauty than meets the eye. Mt. Diablo’s ancient aquatic fossils and its unique rock formations have mystified Native Americans, Western settlers, and tourists for centuries. We decided to make the drive up to the Mt. Diablo Summit’s Visitor Center so we could find out more about Tri-Valley’s most beguiling backdrop. A couple of disclaimers before you embark on this adventure: the roads to Mt. Diablo are very windy! For those who get car sick easily, it would be wise to pick up some motion sickness medicine at a local pharmacy. Also, the early bird really does get the worm here. Mt. 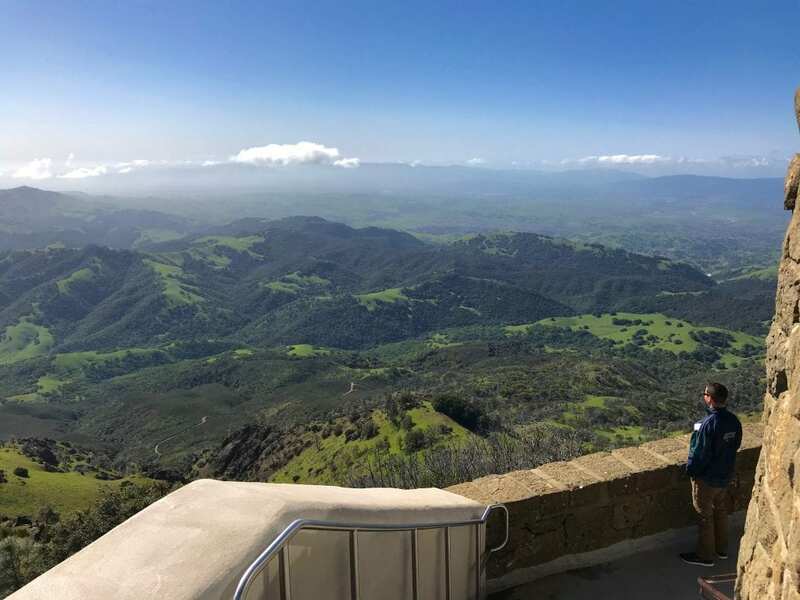 Diablo is a popular spot on the weekends for bikers, hikers, campers, equestrians and visitors alike – so start your trip early and drive carefully as there are several blind turns on the way up. The good news: these roads are super smooth and very well maintained; they even include several “bike turn-outs” so you don’t get stuck behind a cohort of cyclists for miles on end. Pack a snack and lots of water (CA Parks & Recreation suggests about 1 quart for every two hours of activity!) Even if your snack is an assortment of fruits and veggies from downtown Danville’s Saturday morning Farmer’s Market or a sandwich from The Little Pear, you’ll want something to munch on at any one of the park’s scenic picnic spots. Last tip: bring a jacket and close-toed shoes. The peak will offer you views of sunny California, but it might not feel like beach weather! The closest entrance to the Tri-Valley is the South Gate located in Danville. The entire climb will take you about 45 minutes in a car (with no stops on the way up). Given the number of cyclists and hikers on the road, it’s much easier to make your way to the summit first and then make all your pit stops on the way down (unless you want to do some summit hiking, which we’ll cover below). To get there, turn onto Mt. Diablo Scenic Blvd. (from Diablo Rd. or Blackhawk Rd.) Open these directions in your Google Maps if you want a preview of your 11-mile ascent. You might periodically lose service, but don’t worry, there aren’t that many turns to get lost. If you’d rather drive up to the summit and do some light hiking around other picturesque areas of the park, then read ahead… but, if you’ve got your heart set on hiking the Instagram-worthy views of the summit then read this bit. Your best bet is to start low and then hike upwards, that way your return trip is downhill as opposed to uphill. Mt. Diablo’s summit gets pretty steep, pretty fast; so most summit trails are usually intermediate-difficult endeavors with high elevation gains. For an easy-moderate hike with beautiful summit views, stop at Juniper Campground on your way up the mountain; it’s about the halfway point between the Visitor Center and the South Gate entrance. From Juniper Campground, take the Juniper trail up to the peak. This 4.5-mile loop takes most hikers about 2.5 hours to complete. Once you’re at the top, there are a ton of things to see and do! 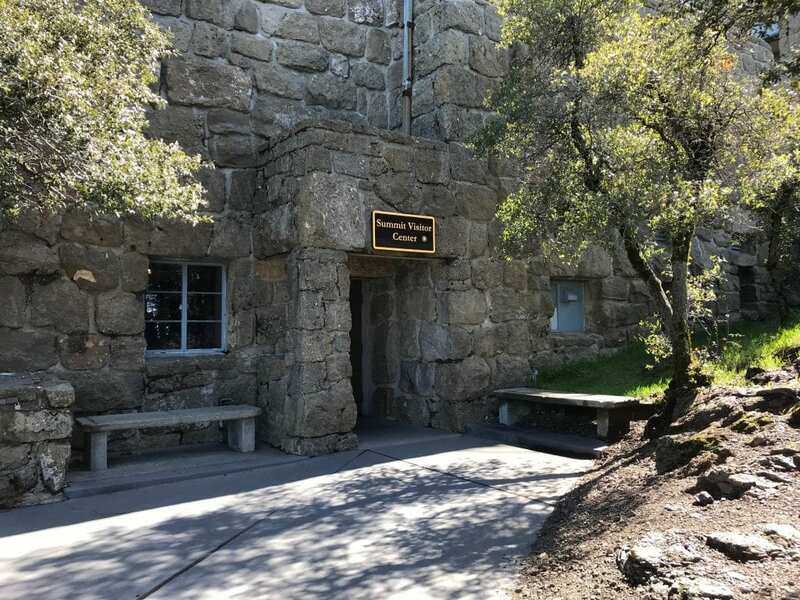 If you plan on checking out the summit for more than an hour, make sure to park in the South Summit Long Term Parking (you’ll see it when nearing the Summit’s Museum); if you’re planning on staying for less than an hour, feel free to use the Upper Parking lot near the Visitor Center. 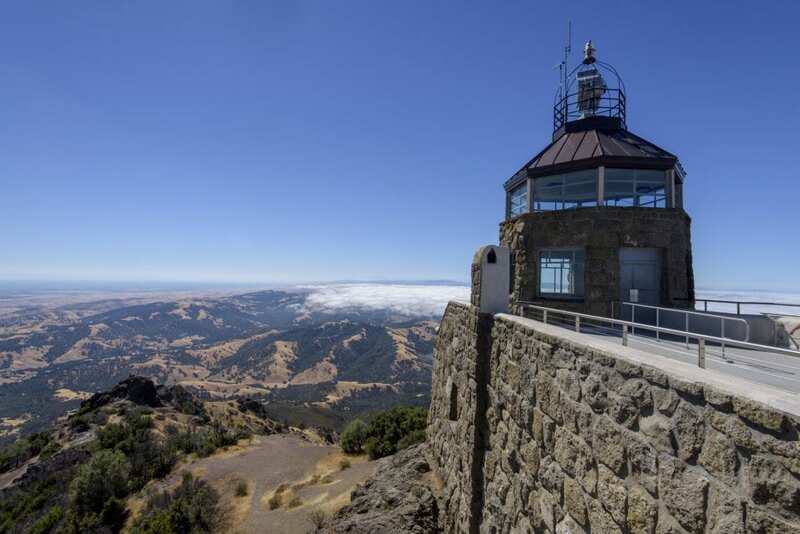 The Summit Visitor Center is open 7 days a week from 10am-4pm, so if you get there before they’re open, take in the panoramic views from the parking lot or the observation deck. Mt. Diablo is home to fossils that date back as far as 190 million years (otherwise known as the Jurassic Period). Since the late 1890’s, over 455 species have been identified within the stones of this local recreational space. However, for years the presence of ancient aquatic plants and species threw scientists and archeologists for a loop. Early settlers often used these fossils as proof of the massive Biblical flood that spurred the making of Noah’s Ark. Researchers have since been able to explain how Mt. Diablo was formed over billions of years of tension between tectonic plates, and a geographical process known as subduction. In layman’s terms: this process prompted Mt. Diablo to rise out of the sea like an island, and ascending with it were the several layers of fossil-rich layers of Earth that we can still see today. The Visitors Center was built using stone quarried from Mt. Diablo so that visitors can easily view these ancient relics on the sides of its walls. The Visitor Center is delightfully deceiving; while it looks small from the outside, it’s actually packed with multiple floors of exhibits and information. Their shop near the entrance sells snacks, beverages, candy and ice cream (perfect if you forgot to pack some food! ), as well as Mt. Diablo branded souvenirs and informational brochures about the natural wildlife of the area. 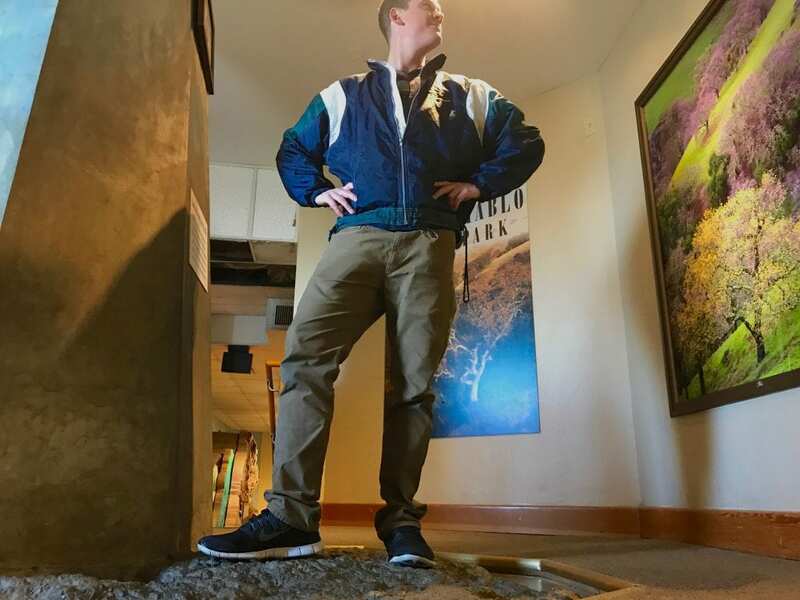 If you have 17 minutes to spare, ask the attendant of the Visitor Center to start up their informational video illustrating the geologic formation of the mountain, its various attractions, and a little bit about the natural wildlife of the area. The video was made in 2004, so if you want some of the same information with more modern visuals, head upstairs to the Exhibit Floor. Once you’ve had your fill of Mt. Diablo information, don’t leave without your chance to stand on top of the world (or rather, the Bay Area)! The Visitor Center was built around the summit of Mt. Diablo, leaving a bit of exposed mountaintop so that guests can literally stand on top of Mt. Diablo during their stay. There are several stops along the way that you’ll be able to easily access on the way down. For a picnic with panoramic views, stop at Juniper Campground, Look Out Point Picnic Area or Livermore Valley Overlook. For a more private and reclusive experience, head further down the mountain and set yourself up at Maple Nook or Bridal Nook picnic areas; both are nestled in the mountain’s alcoves and heavily shaded by Oak trees. After heavy rainfall, Bridal Nook’s picnic table usually straddles a small stream and waterfall. After your snack, head back down the mountain to continue your adventure! For those looking for a less intensive hike, park your car at Curry Point on the way down. This flat 3-mile loop will feature gorgeous views of the Mt. Diablo ridgeline, but it won’t leave you winded. However, if you’d rather endlessly explore the wind caves and unique sandstone formations of Mt. Diablo, then pass Curry Point and stop at Live Oak campground for easy access to Rock City. If you do choose to stop at Rock City, you won’t regret it. Rock City is home to a maze of sandstone formations sculpted by water and wind for millions of years, resulting in the strange configurations we see today. Some of the more popular features of this park within a park includes Sentinel Rock, a ridge of high peaks which offer breathtaking panoramic views; Fossil Ridge, an area of fossil-rich stone baring evidence of its ancient residents; and of course the Wind Caves. 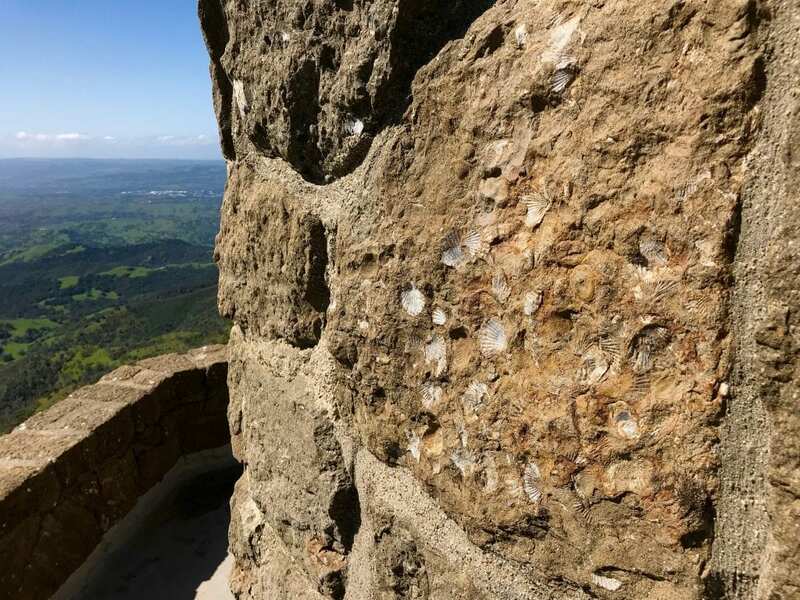 To make the quick trek to Sentinel Rock, make your way past the Wind Caves for about 1/8th of a mile until you reach the Civilian Conservation Corps trailhead. Follow the CCC trail for about a half of a mile. You’ll know you’re on the right path when you see flights of stairs carved out of sandstone, and high ledges protected on both sides by cable routes. You may need to refuel after a full day of sightseeing and time traveling. Downtown Danville is a few minutes from the base of the park and has a variety of delicious restaurants to help you recoup. If you’re craving pizza, check out Forge Pizza Danville. They’ve got a great craft beer selection, and they make their pizzas in an authentic Italian wood-fired oven. If you’d rather binge on sushi, fill up on the fantastic fish selection and enjoy the perfect people-watching patio at Akira Bistro. And for wonderful Thai food, you can find this gem tucked away behind Hartz Avenue: Thai House Restaurant. 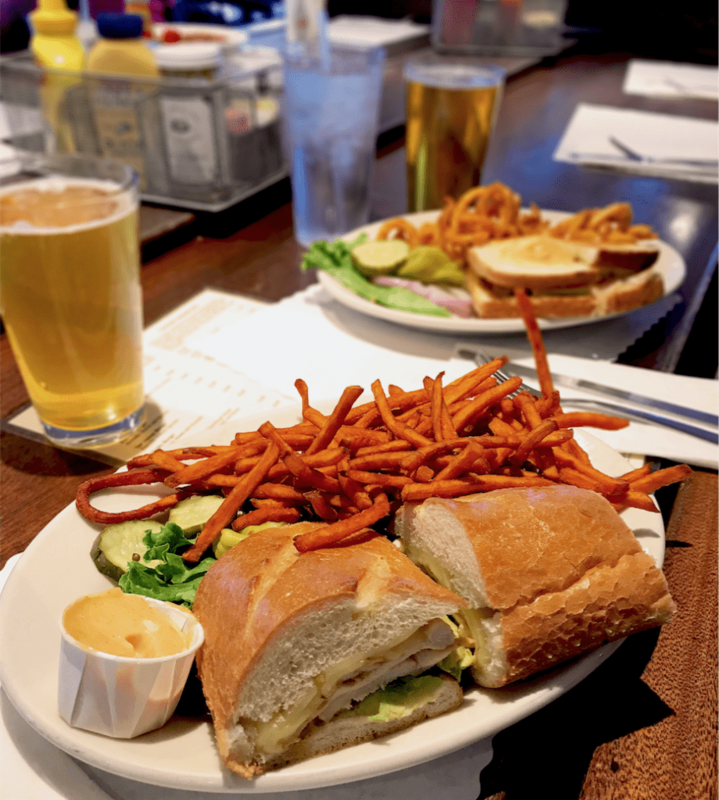 We felt like some good old-fashioned comfort food, so we stopped at Peet’s Brass Rail & Car Wash. We didn’t find anyone named Peet and there was no car wash, but we did find mouthwatering meals and an awesome selection of brews on tap!